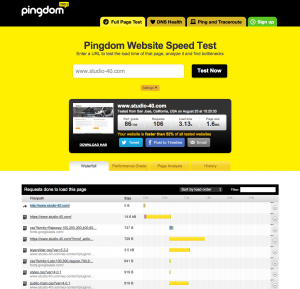 Why is Page Speed important for SEO and what can you do to improve it? 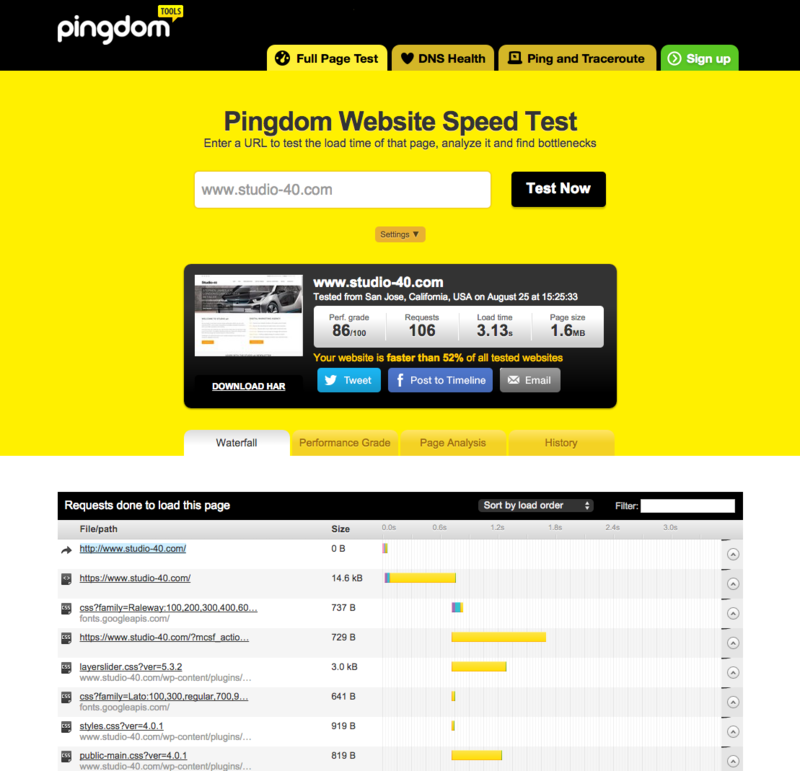 Page speed is becoming increasingly more important for website’s. Page speed is defined as the time that it takes for a page to load and fully show the content on a particular page. It is often considered the same as “site speed”, however site speed is a slightly different metric, which is the page speed for a selection of page views on a website. Why is site speed important for SEO? A faster page speed is believed to correlate with better rankings in the search engines and also helps improve conversions. Google has mentioned before that page speed is a ranking signal that it uses in its algorithm, when deciding where to rank a page. A slow page speed has a negative impact on the amount of pages that search engines are able to crawl, which could mean fewer pages are indexed. The company Singlehop reveal in their infographic below that a quarter of visitors will abandon a page in less than 4 seconds if it doesn’t load quickly. A page that is slow to load is not user friendly and could mean a loss in potential visitors and sales. Pages that are slow to load usually have a high bounce rate and the average time that people are spending on the website is usually low. This tool is simple to use, just add the URL, click analyse and you’ll get a result marked out of 100 for performance on both a mobile and desktop platform. Google gives you recommendations on what you should fix and also gives a ‘User experience’ result scored out of 100. 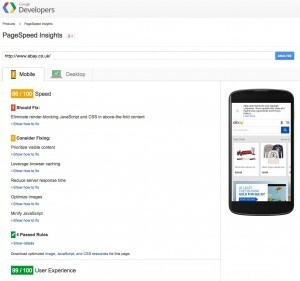 What is a good pagespeed score? Well from experience it can vary depending on several factors and all metrics like this shouldn’t be taken as gospel. However, anything below 50/100 should start ringing alarm bells. 3) On WordPress you can add a Google Analytics Plugin by Yoast which will enable you to get an idea of how long your pages are taking to load. 4) For those on a Drupal content management system, you can install ‘speedy’ which can help speed up your website. Images should be ideally PNG’s and no larger than is needed. Images should be compressed in Photoshop, where the quality of an image can still be retained. CSS sprites can be used, which create a template for images which are often used on a site like buttons. CSS sprites amalgamate all the images into one big image, which all load together meaning less HTTP requests and then reveal only the part you want to show. This means that visitors to the site aren’t waiting for lots of images to load. Assess if there are any unnecessary redirects, as every time a user redirects to a different page, they have to wait to be re-directed, which can slow down the page loading time. Look at the length of time that you want information on your website to be cached by Google. A year is the recommended length of time to set an expiration date for your cache, unless your design is going to change quite often. The tool YSlow will show you if you have an expiration date already set. A content distribution network is a network of servers that stores content on a server close to a user’s location. This enables visitors to access your website much quicker. Search for a bespoke server solution for your business requirements. Investing the time to consider the above factors and implement them into your website’s build and design, will benefit user experience and your search engine optimisation campaign. Just an improvement in a page loading a second quicker could lead to a 7% increase in conversions according to Singlehop’s infographic. It’s worth bearing in mind that users expect websites to load just as fast on their mobiles as they do on a desktop or tablet. It’s worth checking your websites load times on a mobile, as a slow load time could mean you losing out on a potential visitor to your website, sale or enquiry.